In the wake of China’s rapid industrialization, many young people are moving to the city for greater opportunities, or as migrant workers to support their families back home. 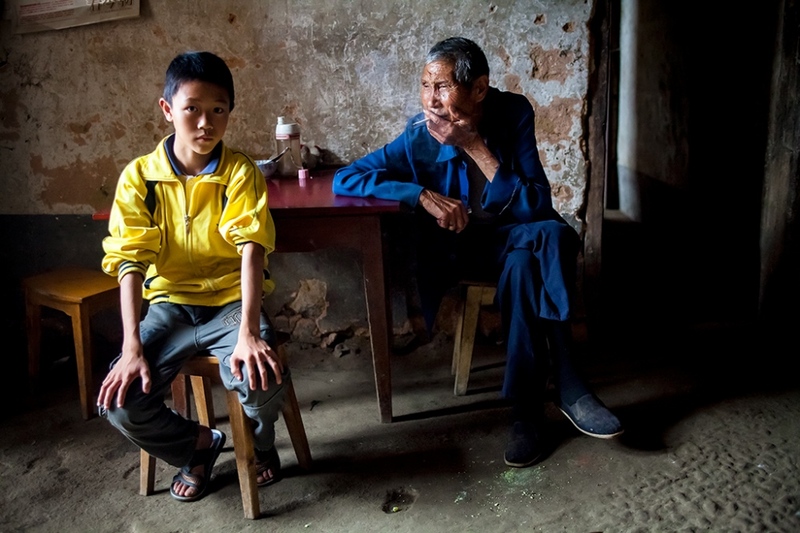 This phenomenon has created a generation of elderly and very young children who are left behind in the village to live their lives in rural China, alone. Seen through the eyes of the Huang family, 'Left Behind' explores how globalization and the exodus of young people to the city for work affects the families they have left behind. The story exposes the life, death and daily struggles of the Huang family and asks the question: what does it mean to be left behind? In the green and stone-grey speckled Luo Xiao Mountains in the Jiangxi Province of Southeastern China, you can always hear water flowing. It bubbles out of the sandy earth, flows down the mountain side, through bamboo stalks and rice paddies, alongside concrete and clay houses and shacks, and eventually into the dusty, uneven streets of the small, poor village of YingPanXu, making tiny rivers across the earth-red concrete tiles of the local elementary school where local children play. YingPanXu is a breathtaking mountain village and is the highest point in the Jiangxi Province. An especially shy boy named Huang Juntao plays basketball with other local children just a few yards away. 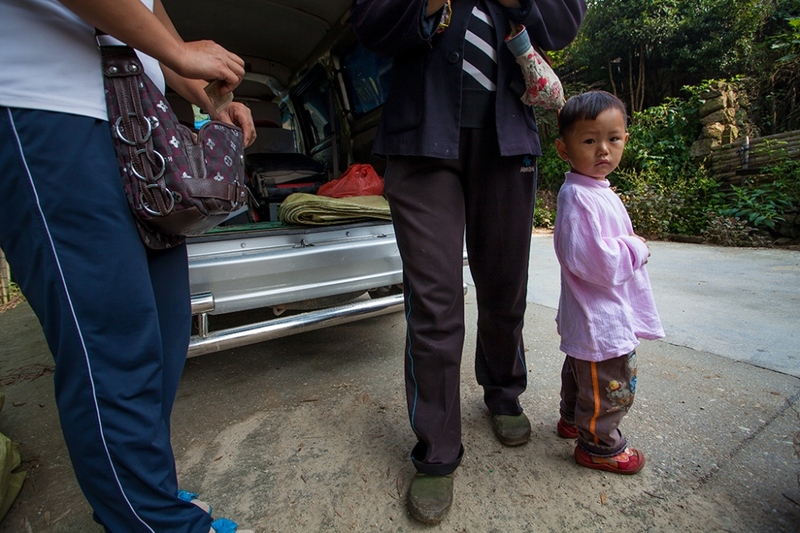 His younger cousin, an equally shy girl named Huang Junyan, looks on from the old wooden benches next to the school’s dormitory and waits for him to finish so that they can take the 25 minute walk up the mountain together to their home. Nestled into the hillside sits the crumbling façade of Huang family home. The house quietly deteriorates from use and age, and the slate roof occasionally slips down and falls to the ground. In the front yard, clothes hang from bamboo and wire rods and there is a small ditch running directly in front of the home filled with milky white and yellow water. Chickens cluck and scratch at the shiny, used candy and bread buns wrappers in the dirt. Despite the home’s humble exterior, it easily has the best view in town as it looks over the entire village and past the far off mountain ranges. This left-behind phenomenon came from the outmigration of young people from their rural Chinese home villages to the city as a result of China’s increased industrialization and the subsequent greater financial opportunities in the city. 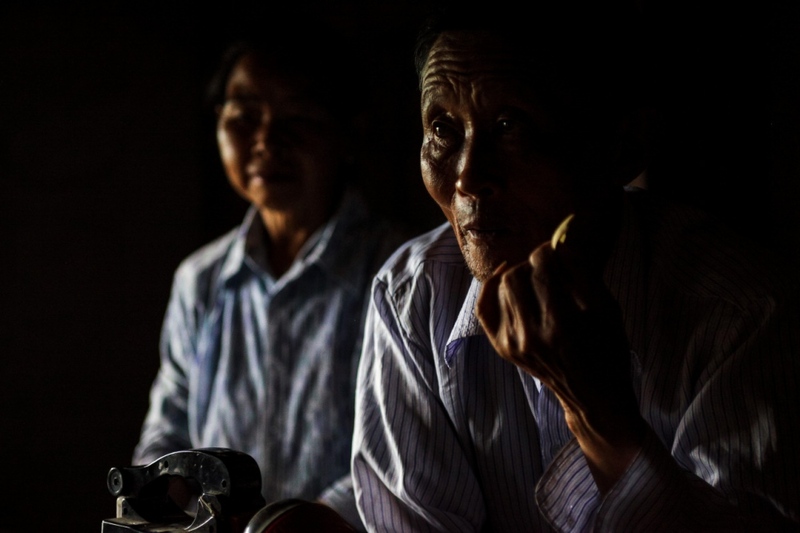 Outmigration has left more elderly Chinese responsible for the care their grandchildren. Rural villages increasingly are populated with the very old and the very young, with few people 18–50 residing in the community. The change is happening so rapidly that traditional perceptions of the Chinese familial structure, as well as technology in the rural villages, are having a hard time keeping up. The result is a warped symbiosis of childcare, where the parents of children contribute to the family financially, and the grandparents of the children provide daily care and sustenance. The problem in this system becomes clear when you consider both a child’s emotional need to be with their parents, as well as the lifestyles of the rural poor. Still an agriculturally based society, it requires a considerable amount of agrarian labor. The changes have left generations of children who are growing up faster and having to effectively raise themselves and look to each other for consistent emotional care and support. In the province of Jiangxi, where a there is a large Hakka ethnic group, Li XiaoWei and Zhu Huanxiang are the epitome of Hakka Chinese women: good housekeepers, excellent cooks, diligent farm workers and obedient wives. 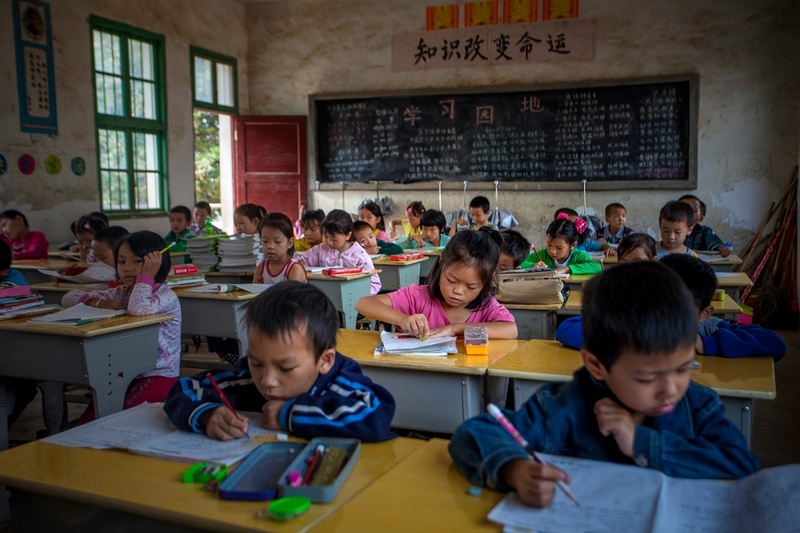 Hakka Chinese, which belong to the Han Chinese ethnic majority, are located largely in the southeastern region of China and still follow a traditional code of living and speak a distinct dialect of Chinese native to their village. 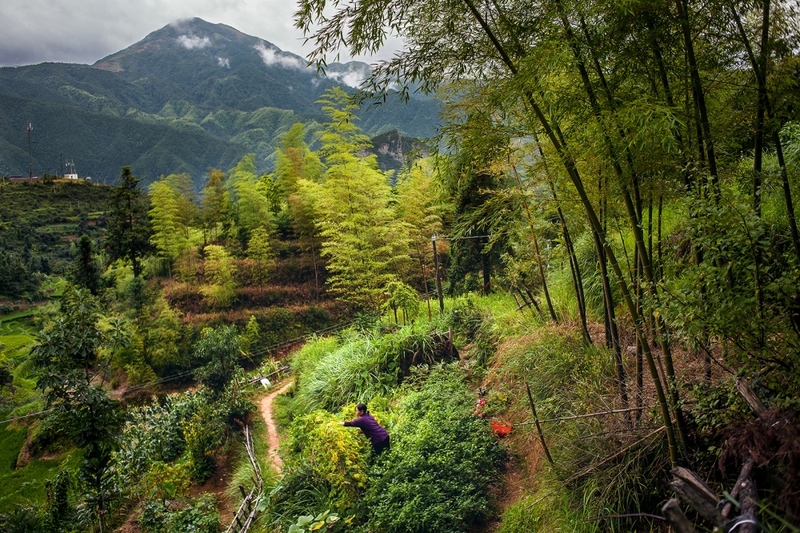 Everyday, Li XiaoWei and Zhu Huangxiang prepare meals for their house of eight, climb the mountains one to two times a day to cut firewood to cook with and heat the family home, garden in the family plot, and take care of household chores. The grandmother, Zhu Huangxiang is a powerful presence in the home who, throughout her daughter-in-law’s third pregnancy, took on the brunt of the labor. Her nails are permanently cracked down the middle, and her hands are hard and calloused, but her body is strong. When she is home, her grandchildren, especially the youngest, cling to her and she commonly has one or two children on her hip. It is an added chore that she seems to take on with pleasure, despite a fatiguing full day of agrarian labor. The burden on Zhu Huangxiang has been much heavier lately since Li XiaoWei has been pregnant, but she bears her burden without complaint. When the men of the family are home, there is little to no requirement for them to contribute to the well being of the house. Rather, they serve as an authority figure to be cared for and listened to, making their visits that much harder on both women. This level of authority became clear when I talked to Zhu Huangxiang about her life in YingPanXu, while her third son, Huang Shouqing, was living in the home. Covered in her squirming grandchildren she began to describe the hardships of her early life and her day-to-day activities now. “Just tell her life is good and that we’re all happy,” Huang Shouqing interjected. 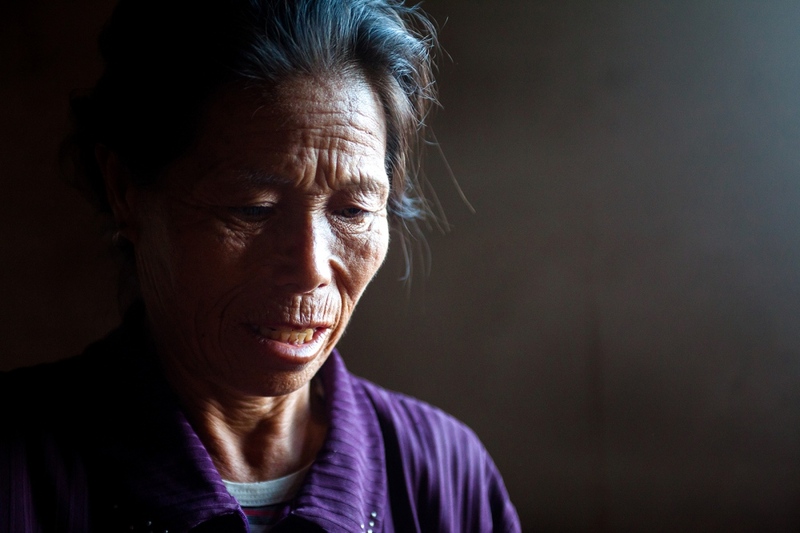 It was not long after that she quickly quieted down and left to care for her children. Zhu Huangxiang, despite running the house and caring for her six grandchildren, is still under the control of her four sons, and formerly her husband, Huang Jingming, when they are home. She is also at the financial mercy of what money the men can bring in to raise the children. As of 2010, 13.26% of the population was above 60 years of age and another 8.87% of the population was above 65 years of age. That number is only expected to rise in the coming years as China’s population rapidly ages. 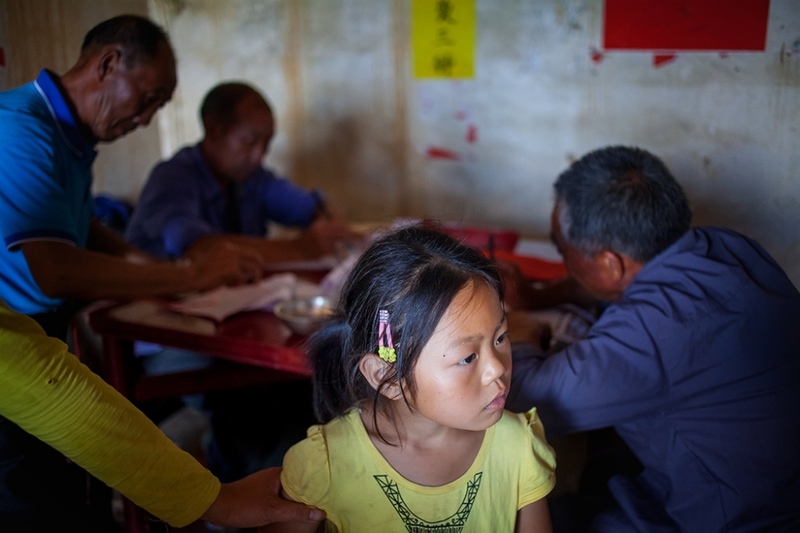 With many of these elders living in poor rural villages, China is going headlong into what could become a childcare and economic crisis for families. This situation also creates a tenuous situation for many families who have no safety net for childcare if one of both child-rearing grandparents dies suddenly. In addition, the country’s still developing healthcare system, which is less established in rural areas and prioritizes direct payment over citizen care (i.e. if you don’t pay, you don’t get care), only exacerbates this issue. At times the system creates unforeseen financial burden on rural families who come upon unexpected medical emergencies. The country’s population continues to grow, and more legislation attempts to address the problem. One amendment requires that children visit their parents in the village or risk repercussions. Other laws attempt to address China’s increasing need to improve elder care in the country. But the Huang family is relatively unique, in that Li XiaoWei is one of the very few young- to middle-aged adults still living in the rural village, a situation which arose more out of necessity than her own personal preference. “I would rather work in the city,” Li XiaoWei says. 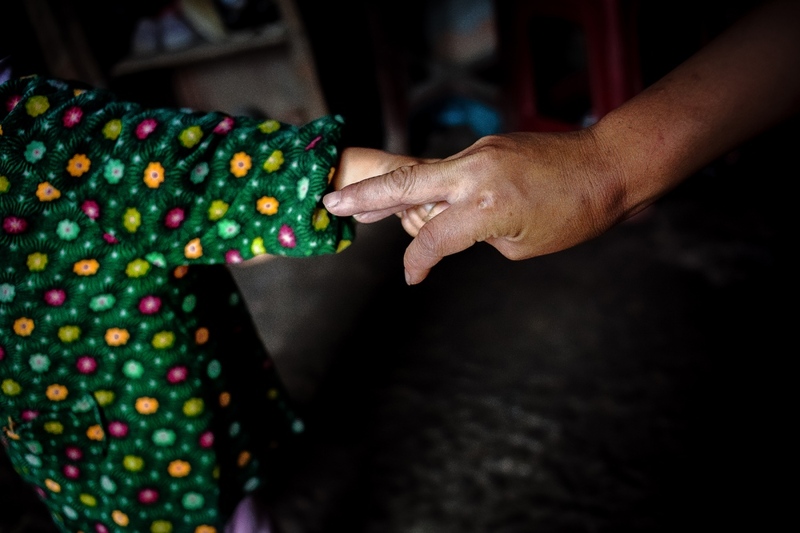 “The work is easier and the pay is better, but Zhu Huangxiang cannot take care of all these children by herself so I am forced to stay.” For a long time the Huangs negotiated a delicate financial balance. 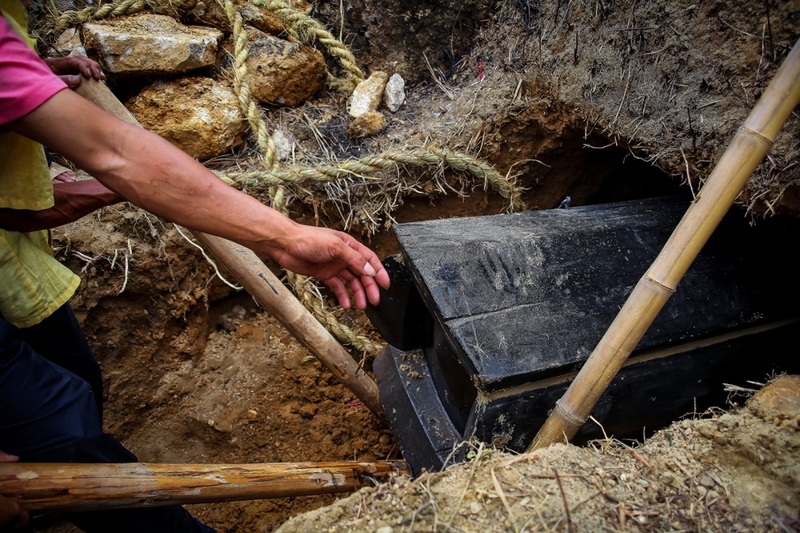 But when the family patriarch, Huang Jingming, died suddenly, the family was saddled with the extra expense of having to perform a traditional burial. This included feeding upwards of 80 mourners from the village, paying the ceremonialists for funeral rites, buying a coffin, and paying for all of the family members to come home. 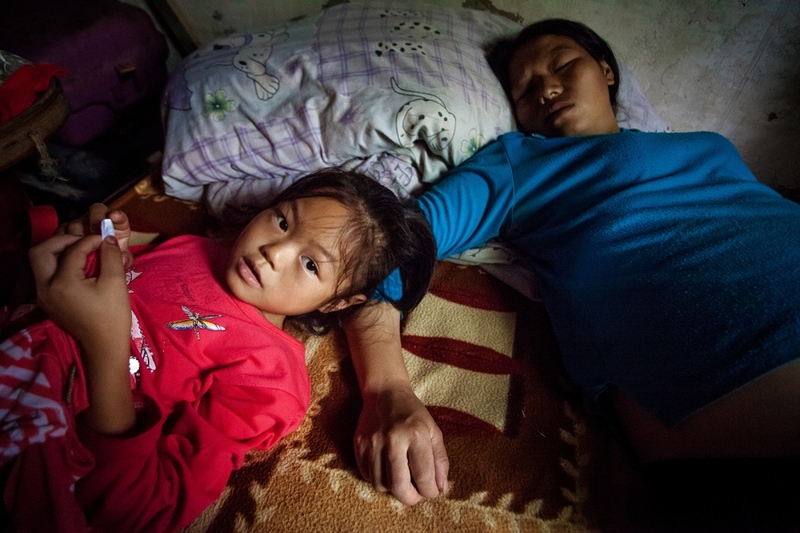 If this weren’t enough, Li XiaoWei had serious complications with her pregnancy just two months later that landed her in the hospital for a week and required extensive treatment to save her daughter, who was born one month prematurely. Despite loans from local neighbors and fundraisers held for them by regional volunteer groups, the Huang’s delicate economic state was broken and the family is still working to crawl out of debt. This extra stress on the family requires Zhu Huangxiang and Li Xiao Wei to work harder to conserve money in the home, and it puts added pressure on Huang Jungtao and Huang Junyan to care for their siblings and cousin. Huang Juntao and Huang Junyan, like many left-behind children are growing up fast. 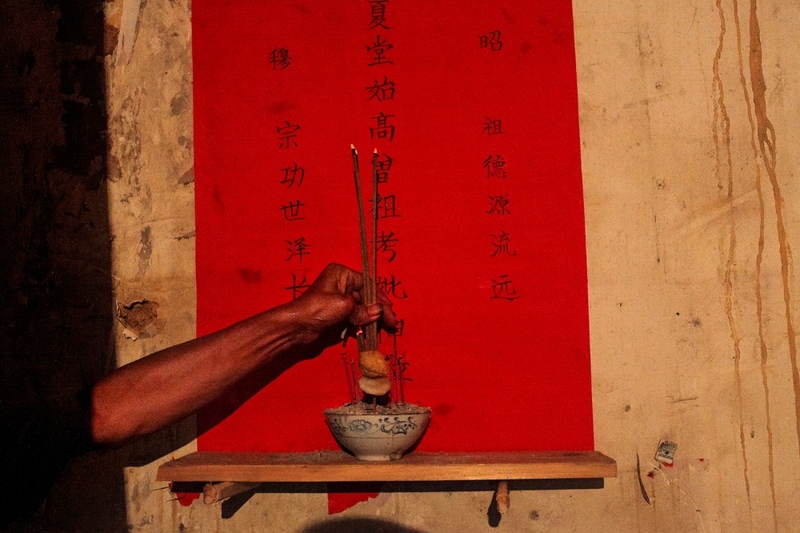 In the still-patriarchal society of rural China, however, Huang Juntao has an edge. When, Huang Jingming was still alive, he clearly favored Huang Juntao, as he was the oldest male grandchild. As a result, he is nurtured more in the direction of education and is not required to take on many responsibilities outside of childcare in the family. Huang Junyan, on the other hand, has a very different story. She seems to age faster than any of her other siblings and frequently cries quietly in the corner for no apparent reason. The family at one point joked openly about selling her to me so that they would have one less mouth to feed and she could go abroad. Huang Junyan was visibly hurt. “She is not very smart,” her parents regularly say, “She still can’t write very well and her grades are not that good.” As a result, Huang Junyan has had a great deal of pressure put on her to care for her rowdy younger siblings while Li XiaoWei and Zhu Huangxiang are working during the day. This has created a palpable disorder in the house. The more I work with the Huang family, the more it becomes clear that the left-behind phenomenon is holistic familial problem. It is not only creating a generation of parentless children in the village, it is creating a generation of childless parents in the city and grandparents who are doubled over with the burden of childcare in addition to basic rural survival very late in life. This issue is systemic in all of Chinese society, not just within the traditional familial systems found in the rural countryside. The problems are not simply economic, they are also related to the growing mental health issues in the country. Left-behind elders are also the sign of a widening cultural mindset between the older and younger, more westernized, generations of China. Older generations prioritize marriage early on, but younger generations are more interested in pursuing career goals first. 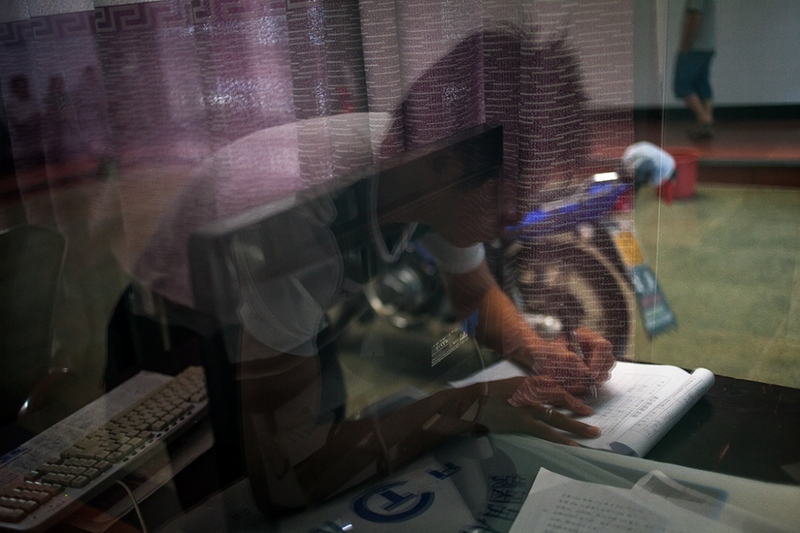 “I speak to my mother less and less now because every time we talk she badgers me about getting married and having children,” says Tang Zhur, a young professional in Beijing. This is in stark contrast to many of the low-income factory workers who are bound to the cities by financial and work restrictions. But the mindset of “leave the backward countryside” and find new life in the cities is becoming clearer. The trend does not look as if it will stop anytime soon. 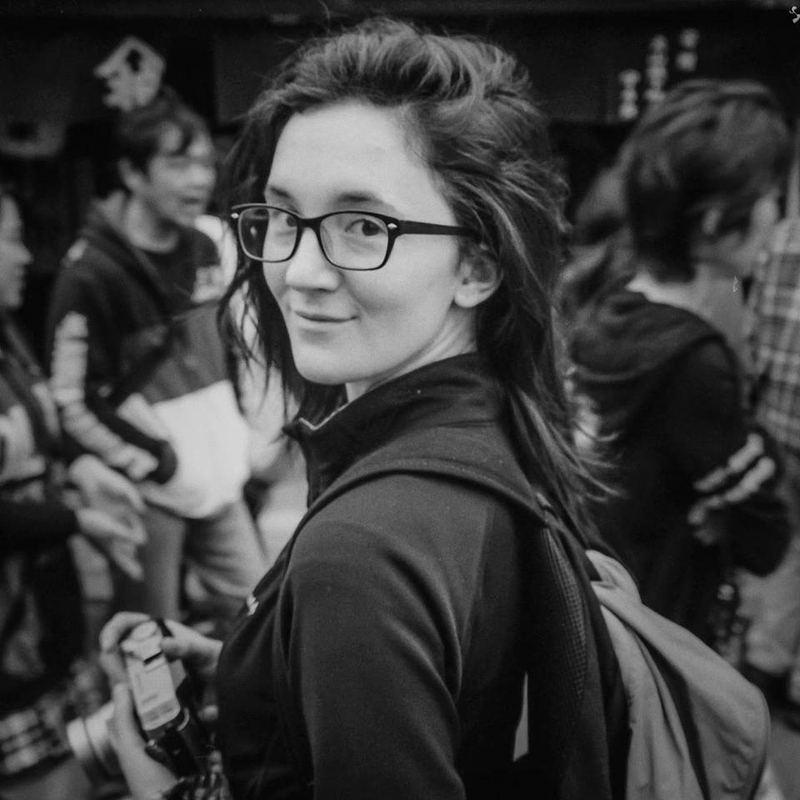 “I was a left-behind child when I was young,” says, Zhou Na, a young professional in Ji’an China, “And now, as I work outside my hometown, I ignore my family most of the time… When I don’t have them in my heart and let them feel and know [that] they are in my heart, then I have left them behind.” This trend is supported by the Hukou — a family registration system that has made it very difficult and expensive to for parents to move children to the city to live with them. 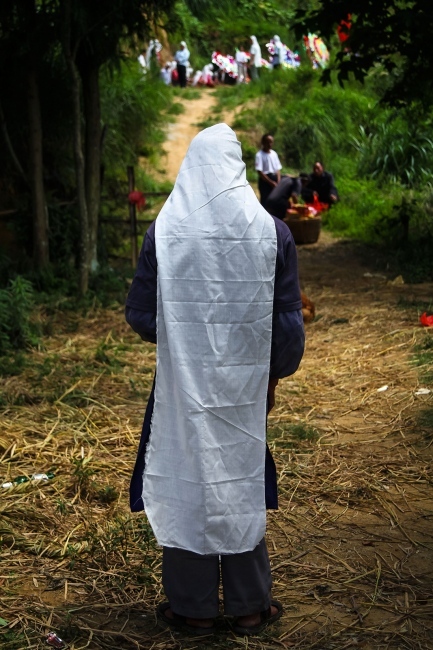 After the family views Huang Jingming’s body for the last time, they don white cloth and caps to symbolize that they are in mourning. Zhu Huangxiang is probably going to die in the rural countryside. 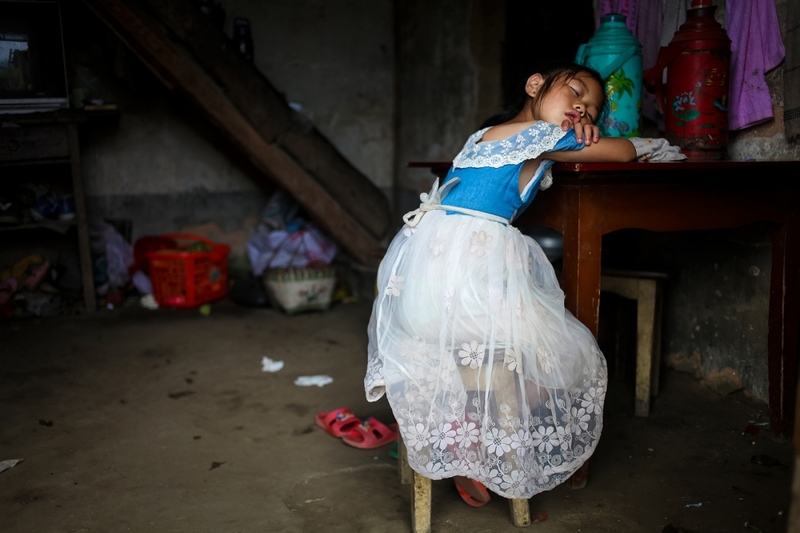 Her death will spur questions about the future of the left-behind children in China: With this increasing outmigration to the cities, who will be left in the village? What will the rural villages look like in the next 20, 30 or 50 years, and what will happen to the rural traditions of China? With China’s growing importance in global development, how might their changes affect the rest of the world? The young daughter of the Huang Family, Huang Junyan, takes a break during her daily trek up the mountain to her home from school. The Huang family lives in YingPanXu, a rural mountain town in the eastern Jiangxi Province on the border with Hunnan Province. 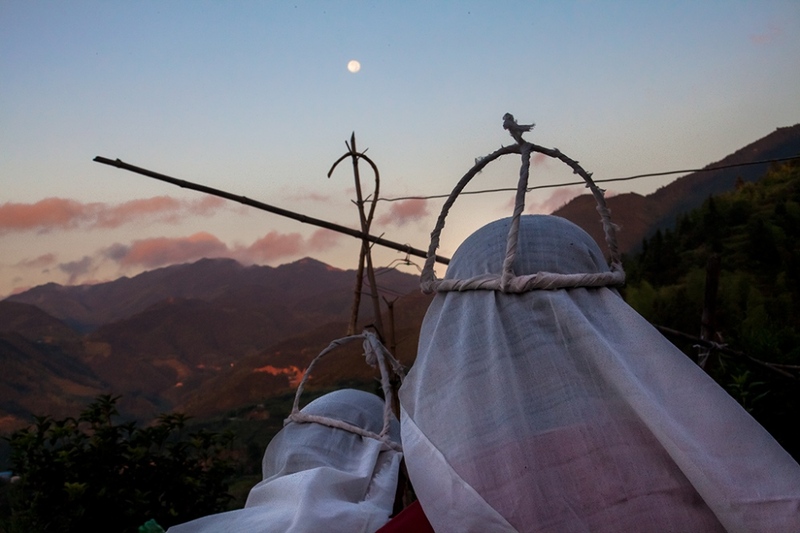 The Grandmother of the Huang Family, Zhu Huaxiang, climbs a mountain with her daughter-in-law, Li Xiaowei, to cut wood for cooking and heating. It is hard work and sometimes the women climb the mountain twice in one day. In rural Chinese families, women are frequently the ones who shoulder the burden of providing for their family and raising the children. However, it is still considered more preferable to have a son then a daughter. The grandmother of the Huang family, Zhu Huaxiang, takes a moment to rest before she resumes the care of her six grandchildren. She and her daughter-in-law, Li Xiaowei, do all of the work in their large household and even care for the adult son of Zhu Huaxiang who still lives at home and is uninterested in having a job or assuming family responsibilities. When Zhu Huaxiang's husband, Huang Jingming, was still alive, they also had to care for him. Huang Junyan lays with her mother, Li Xiaowei. Her mother has been working too hard cutting wood in the mountains and the effort is taking a toll on her pregnant body. With little knowledge of the proper care for pregnant women, Li Xiaowei is doing too much physical labor for her condition. Two days before the patriarch, Huang Jingming, died, he relaxes and smokes a cigarette as his grandson, Huang Juntao, sits nearby. After Huang Juntao's mother, Lai Zhilan, ran away, his father, Huang Fuan, sent him to live with his relatives while he worked as a woodcutter in the neighboring Hunnan Province. In the small villages of China, everyone is related. The extended family of the Huang's reaches through every corner of YingPanXu. When Huang Jingming died, it was the job of his eldest son, Huang Fuan, and eldest grandson, Huang Juntao, to go through the town informing family and friends of his passing. Huang Juntao, mourns his grandfather's, death while his father, Huang Fuan, tries to pull him away. Traditionally, the family sits at the foot of the coffin throughout the wake to mourn the death of the departed and send them up to heaven with their cries. However, when family members become too bereft they are taken away to a private room and consoled. 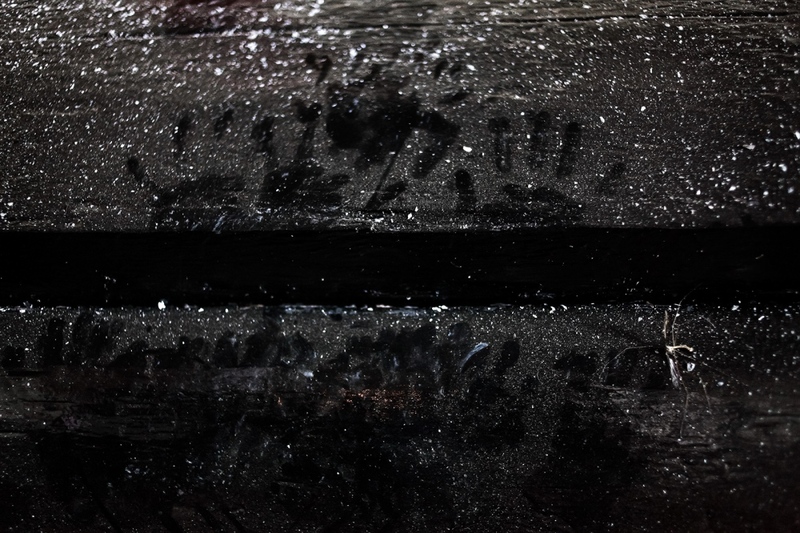 Handprints of the Huang grandchildren are imprinted in a layer of ash from ceremonial paper burning on Huang Jingming's coffin. 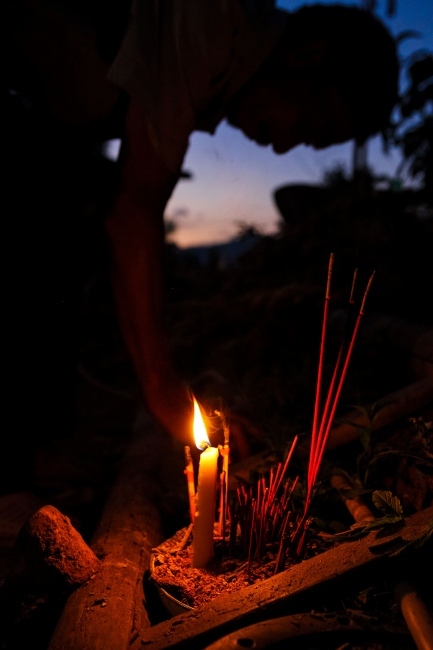 Food, incense and gifts for the departed are burned on an altar during the night. The young daughter of the Huang Family, Huang Junyan, looks over at her grandfather's coffin during the wake at the family home. 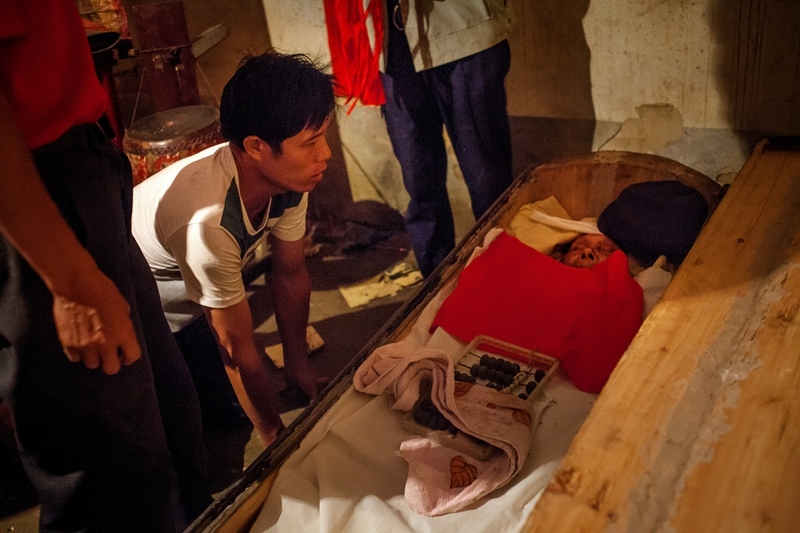 The Huang's second eldest son, Huang Shou-Bin, kneels at his father's coffin to say goodbye one last time. 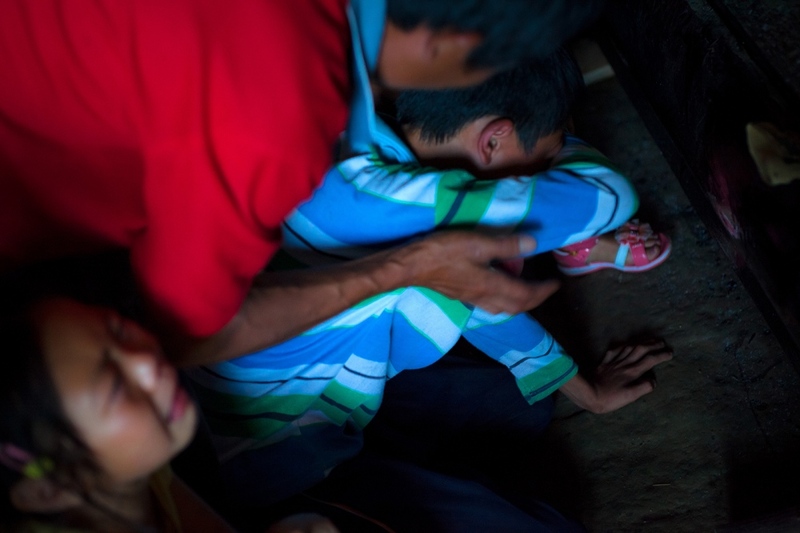 Huang Jingming's daughter, Huang Shiying, who had to travel in from her job outside of the village, cries alone at her father's funeral. After the family views the dead's body for the last time, they don white cloth and caps to symbolize that they are in mourning. 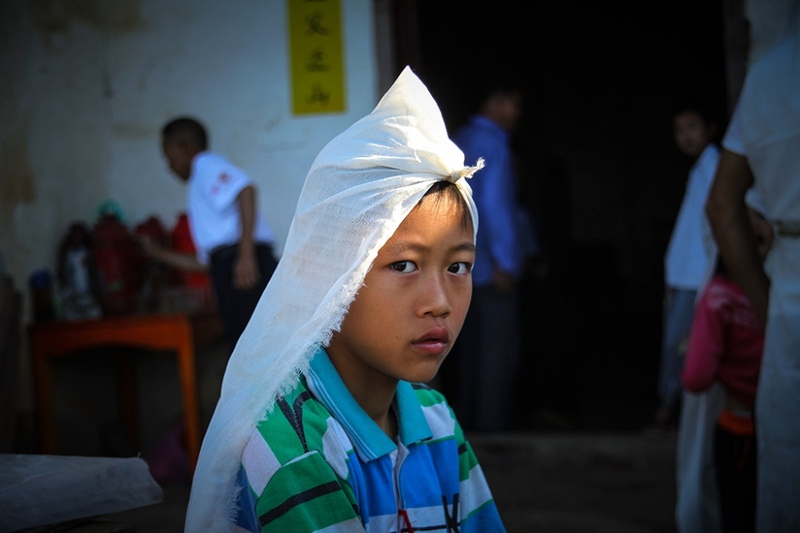 Huang Juntao, the eldest grandchild of the Huang family, wears a ceremonial headdress at his grandfather’s funeral. 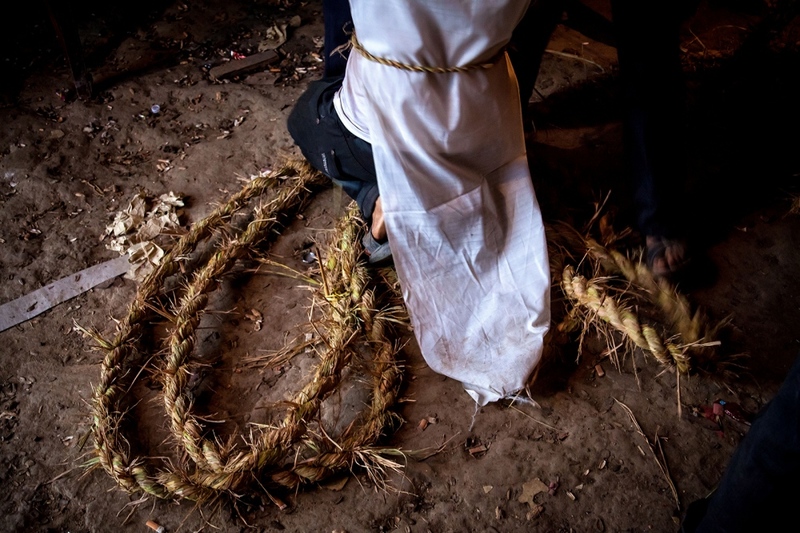 A Huang family member kneels amongst the hand woven rope that will be used to carry Huang Fuan to his grave. Huang family relative waits at the end of the funeral procession. The funeral procession walks up the hill to the burial site. 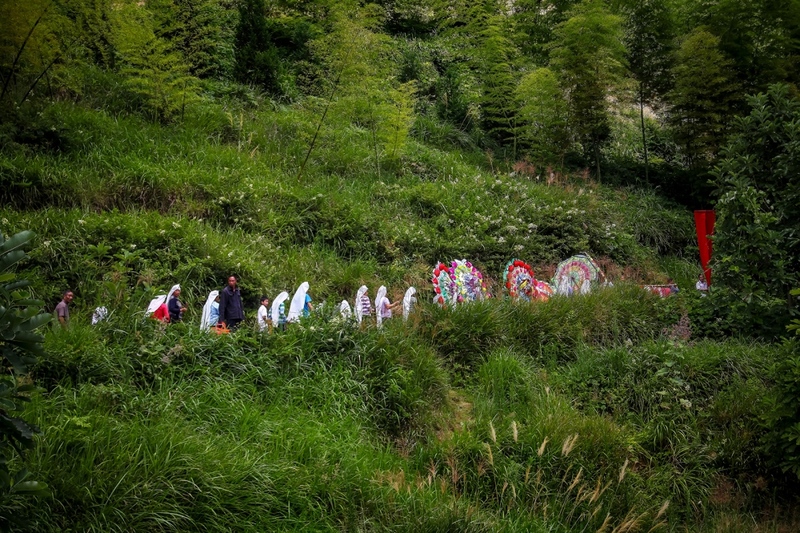 The family wears ceremonial headdresses to show they are in mourning and wreaths for the dead are carried up the mountain and placed at the burial site. 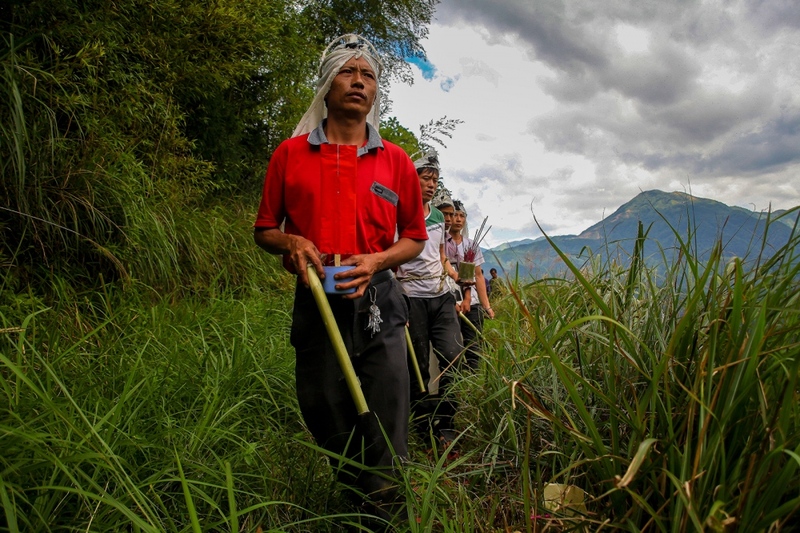 The funeral procession is lead by the eldest son, Huang Fuan, to the mountainside burial site for his father, Huang Jingming. Local volunteers bury the dead in the belief that their tribute conveys good luck. 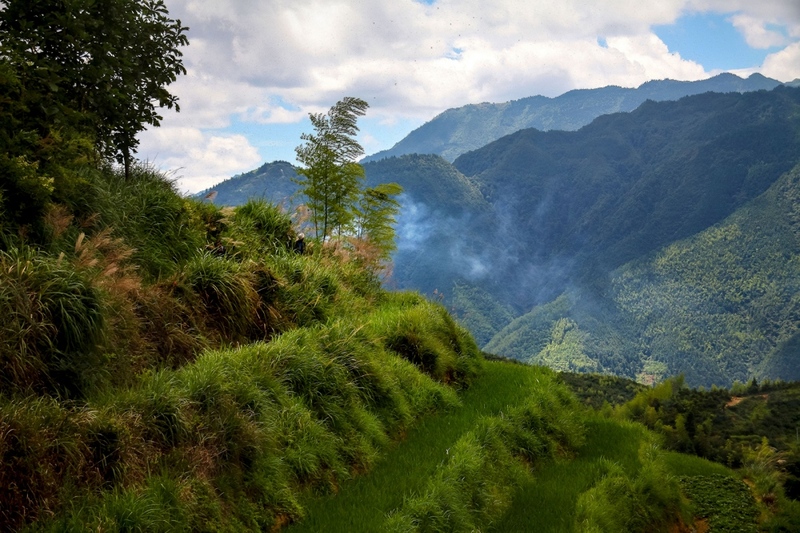 The mountainous topography is the region dictates that graves be dug on mountain slopes. They are then sealed with memorial stones. Local volunteers bury the dead. The mountainous topography is the region dictates that graves be dug on mountain slopes. They are then sealed with memorial stones. 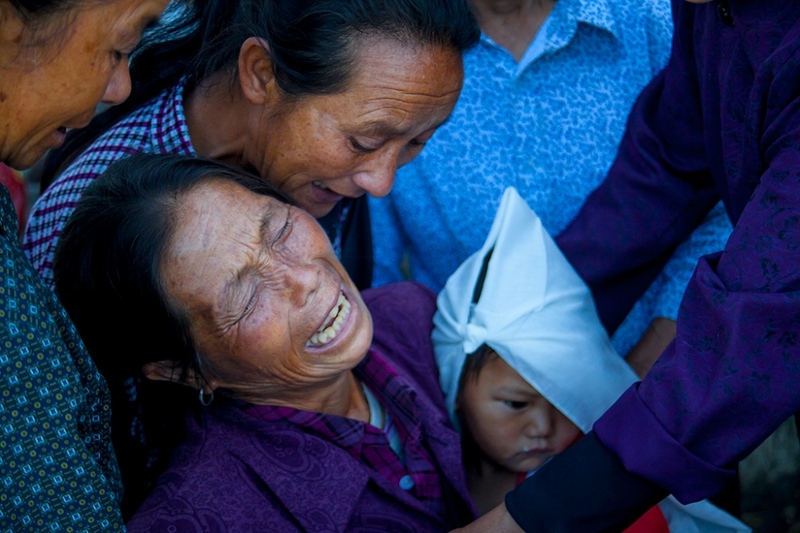 Zhu Huaxiang, cries outside of the family home as friends and relatives try to move her inside and away from the funeral guests, with her husband gone, the care of her grandchildren rests more heavily on her shoulders. A candle burns at an alter in the early sunlight. 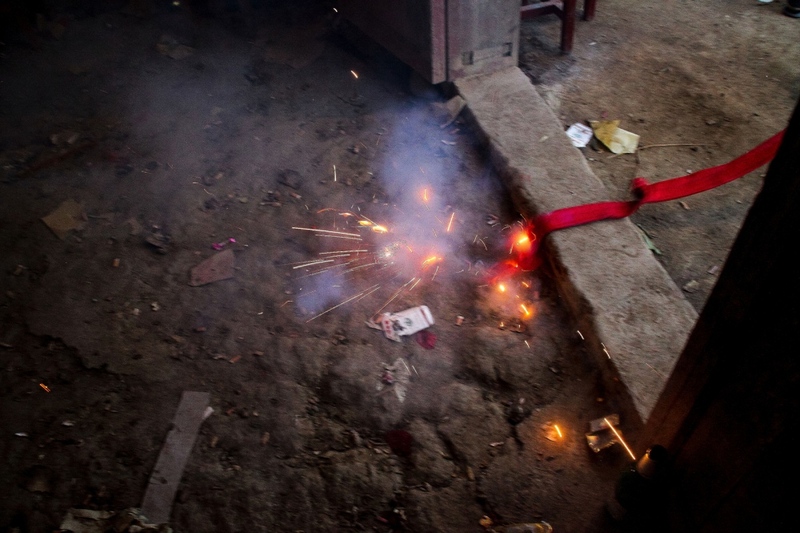 Firecrackers are common in funeral ceremonies. They can be heard all over the valley of YingPanXu. They are used to celebrate as well as mourn. 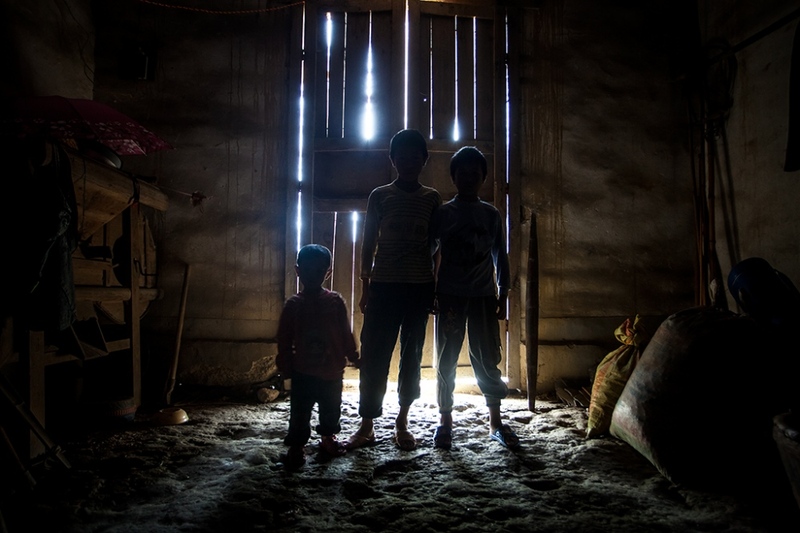 The Huang children stand in the light of the doorway. Their home is not typically lit by electric light so much of it remains dark when the doors are closed, even in the middle of the day. The eldest Huang daughter, Huang Junyan, cries softly to herself in the corner. 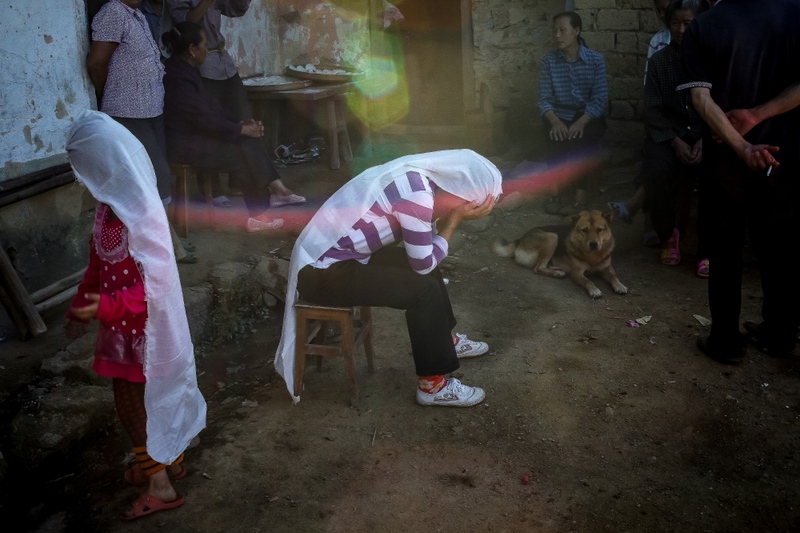 It is not easy to be a girl in rural China where many families still prefer boys. Women frequently receive bad treatment. 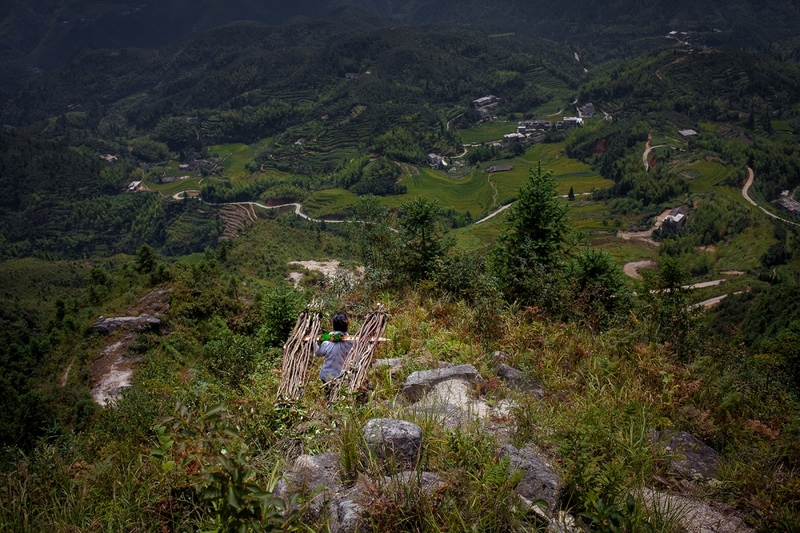 Zhu Huaxiang climbs up the mountains near here home to cut firewood for the family. 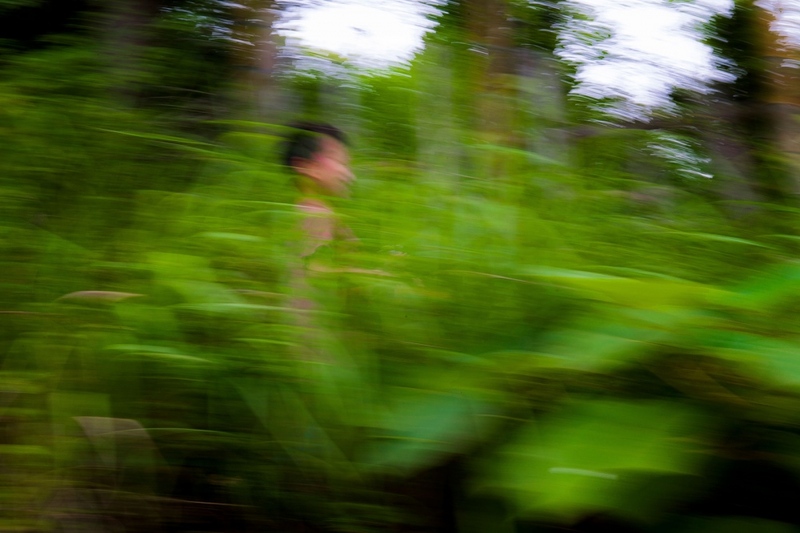 A young boy runs through the mountain village of YingPanXu. The Huang's second youngest daughter, Huang Qinqin, accompanies her mother Li Xiaowei, to the market where they sell the food they grow in mountainside fields. 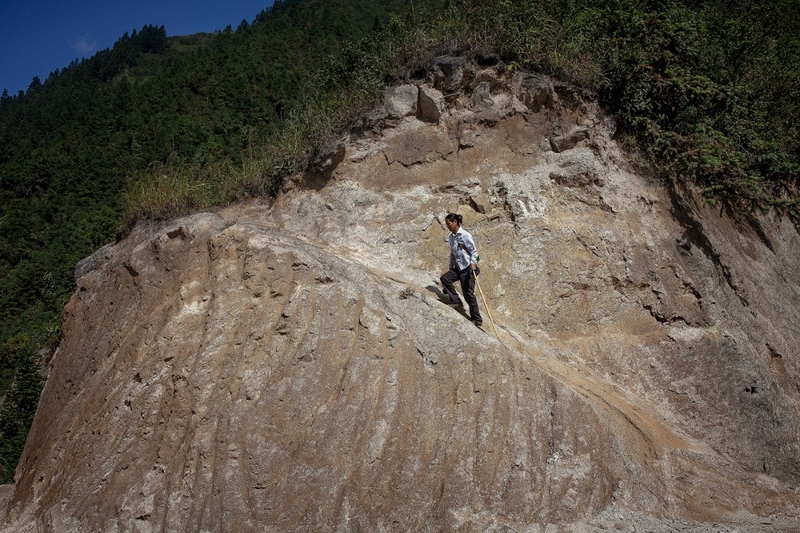 Despite the fact that the Huangs work very hard, they make very little money from farming. Three of the Huang children, Huang Junyan, Huang Qinqin and Huang Meiling, play on their bed after school. The children are often unsupervised by the adults and their behavior sometimes gets out of hand. Huang Junyan and her cousin, Huang Juntao frequently cares for their rambunctious younger cousins. Huang Junyan studys in the local school. Her family commonly talks about how unintelligent Huang Junyan is and how she should work harder. 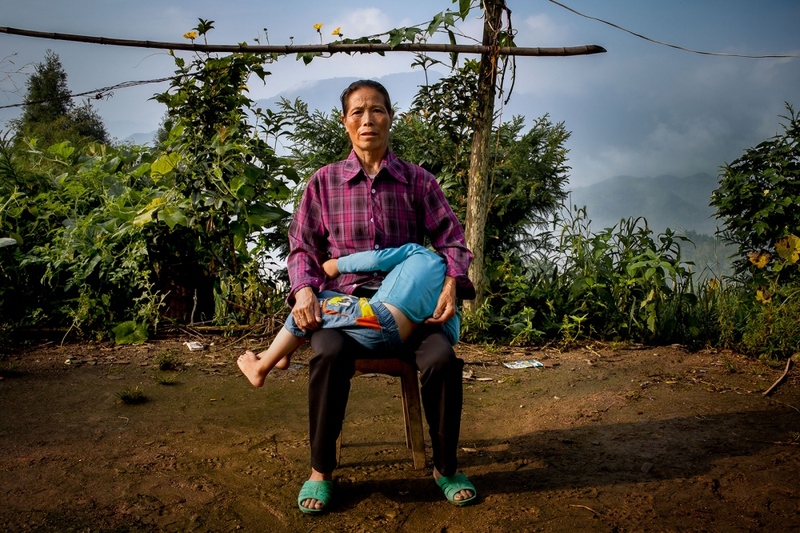 Zhu Huaxiang sits in the family's front yard while her young grandson, Huang Chaoshuai, squirms in her lap. The Huang family's grandmother, Zhu Huaxiang, picks dinner from the Huang family garden. Li XiaoWei is rushed to the hospital unexpectedly one early morning. She began having strong labor pains in the middle of the night and was rushed off to the county hospital four hours away by car. Her hospital bills cover both the C-Section delivery and the cost to save her baby daughter who almost died. The family could not cover much of the expense so the organization IFChina started a fundraiser to help them. 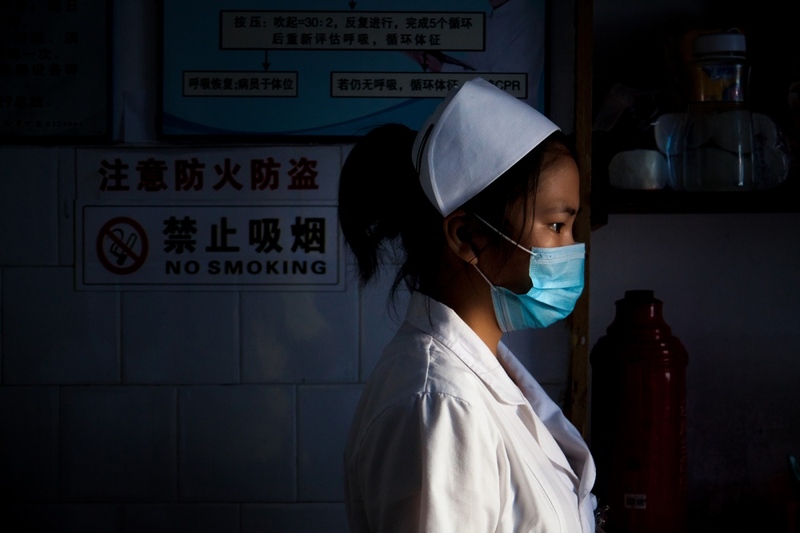 A nurse looks on as Li XiaoWei is treated with antibiotics after an emergency C-section. The cost of these treatments takes a huge toll on the Huang family. Li Xiaowei, lays on an old hospital bed to be inspected after her emergency C-Section. Li Xaowei's husband, Huang Shoubin, signs for his baby daughter's ex-ray scans. Li XiaoWei talks with her mother who has come to help her while she is in the hospital. Smoke from a religious fire wafts over the landscape. Li Xiaowei tries to hang on to her youngest daughter, Huang Qinqin, to keep her from misbehaving. 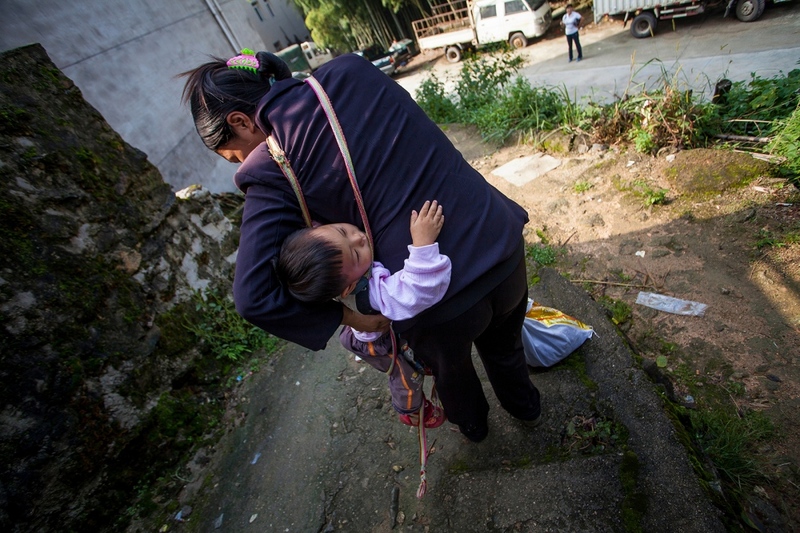 Li Xiaowei carries her daughter, Huang Qinqin, as she goes down the hill to the village to do business. 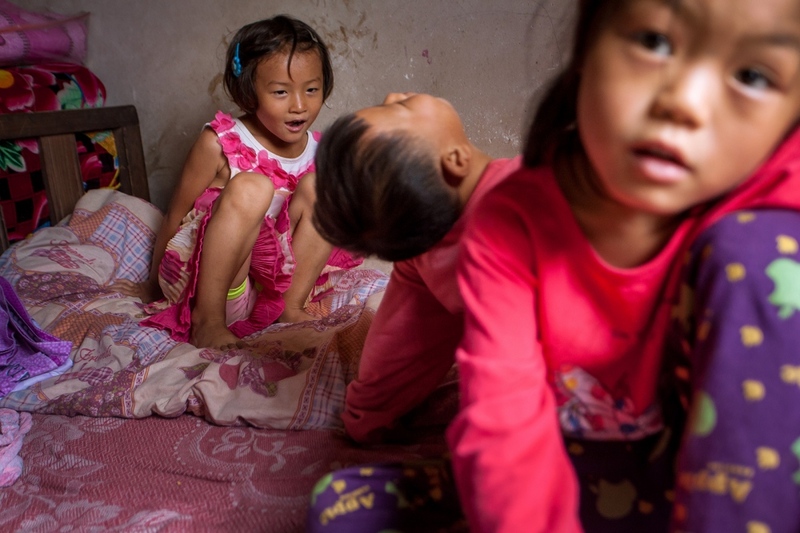 Three of the Huang children, Huang Qinqin, Huang Meiling and Huang Chaoshuai, play on their bed after school. The children are often unsupervised by the adults and their behavior sometimes gets out of hand. After crying, Huang Junyan, falls asleep at a table. 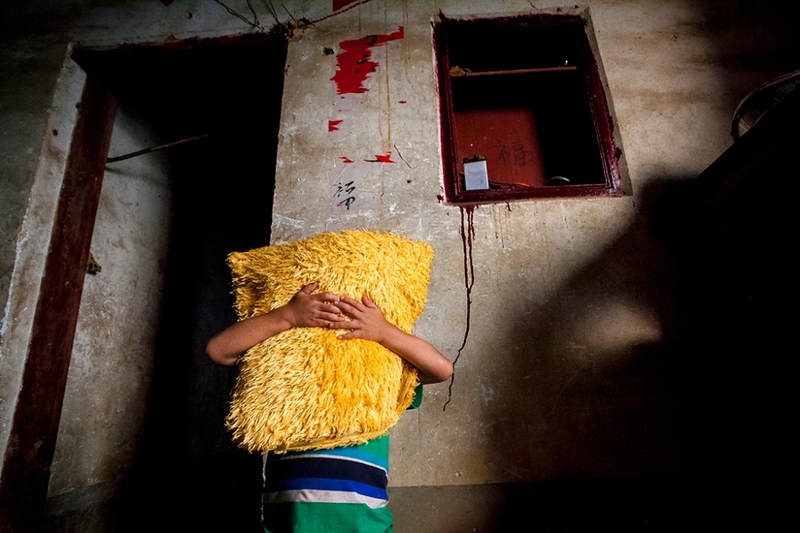 The Huang's young son, Huang Chaoshuai, plays with a yellow pillow that has become his version of a security blanket. 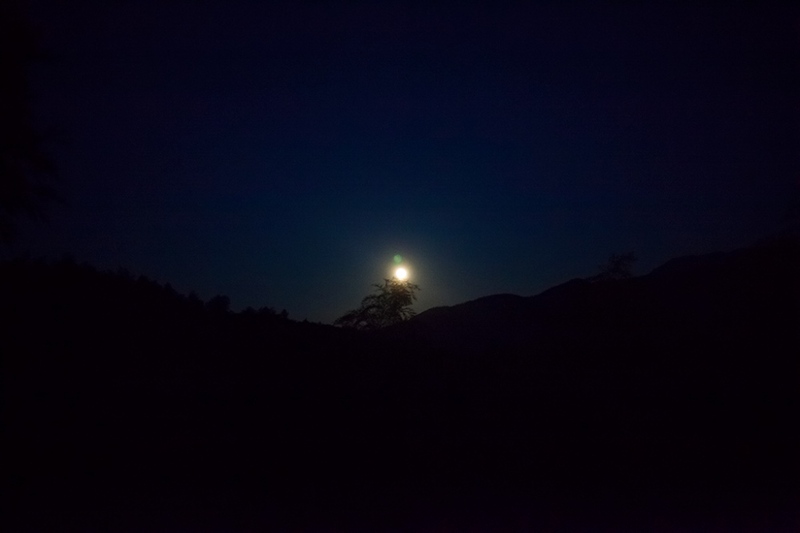 The full moon shines brightly during the wake of Huang Jingming.